My family is crazy for these meatballs and so was instagram after I posted a pic. I found them when I was on the 21 day fix but I've been making them ever since. So healthy but so flavourful. I usually make a double batch to last us the whole week. 1- Mix all the ingredients except for the turkey together. I use my mini chopper to blend it all together. 2- Add the herb mixture to the turkey and mix until well combined. 3- Shape into 30 1-inch balls. 4- Bake on parchment paper in a 400 degree oven for 16-20 minutes. Serve with whatever side you desire. 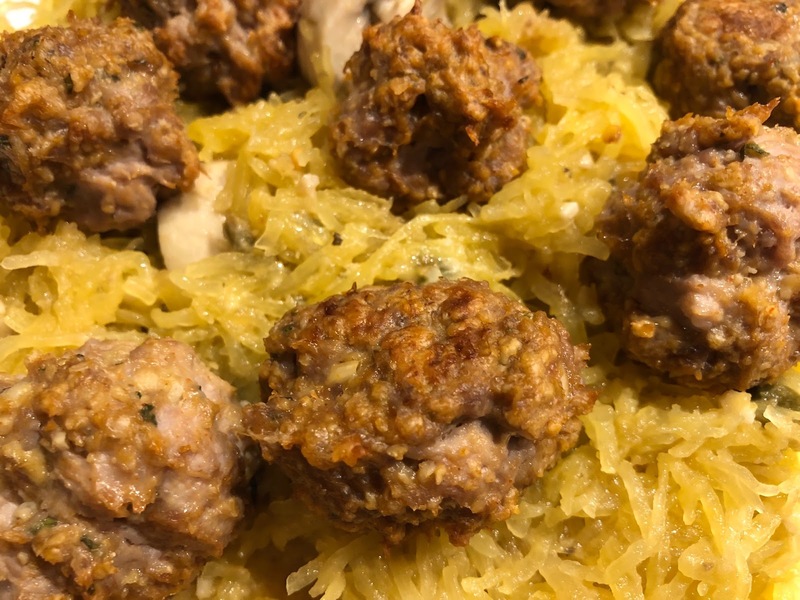 I make it with pasta for my kids or spaghetti squash or salad for the grown ups. Make your Monday an awesome one, friends! I have used oats in meatballs / hamburgers before too! Sounds like a great recipe. I love that you serve with spaghetti squash- I need to remember to do this! We are crazy about turkey meatballs in our house...these look yummy!